I have a friend that has this theory. He thinks we are walking blindly into the next dark age where much of the data we are endlessly recording about our lives will be lost for future historians because of the simple idea of digital incompatibility. In the same way there are gaps in human history from the history itself literally rotting away, our present will have pauses of decades labelled simply ‘file not found‘. I’m not sure we completely agree on this but I do get his point and he isn’t a conspiracy theorist type living in a hedge somewhere with a tin foil hat, he’s head of IT at a major bank in the city, so he does know his onions far better than me to be honest. It was with his theory ringing in my ears that I decided to buck the current trend on my dream bike build and go mechanical, cable analogue. 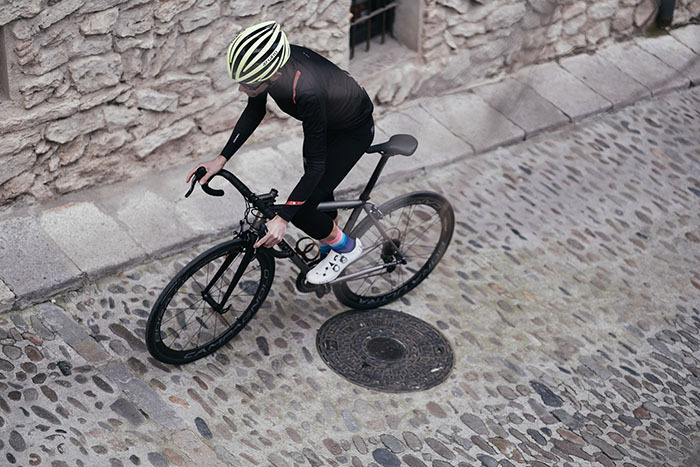 E-shifting is quite incredible yes, but If I’ve learned anything from three decades of cycling it’s that to attempt future proofing is pretty much a pointless mission, but also, as I get older and if not wiser, then simpler, I am drawn ever more to the basic. That feeling has recently put me behind the wheel of a bolt it back together Defender (and I am sure I will be bolting it back together periodically) and it’s leaning the same way with bikes. Cables to stop and go, classic tube shapes, metal. And that metal is a Moots Vamoots RSL. An American titanium frame made by hand high in the Rocky Mountains at Steamboat Springs, Colorado. 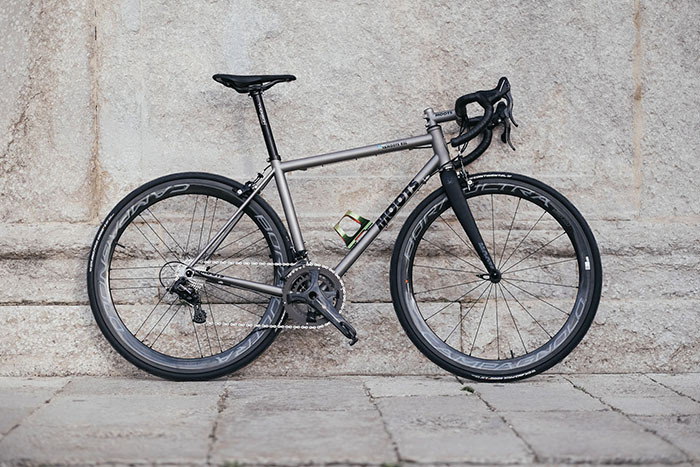 I was already riding a Moots when I realised the bike of my life would be another and for this build I wanted to take up Italian. 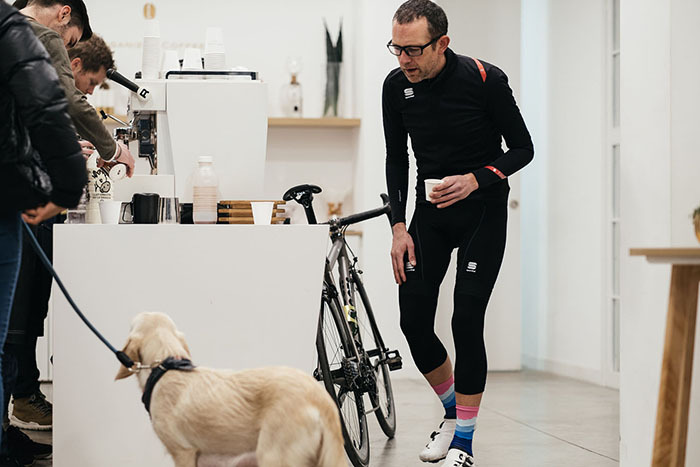 Enough visits to the Campagnolo mothership in Vicenza had told me that. Witnessing Mr Ghibli tuning by sound, Queueing for lunch with Eddy Merckx in the cafeteria downstairs, apparently being the first person to be shown Tullio’s original prototype quick releases from a dusty old box in his office by his son Valentino…all these little things at that factory that add up to probably the richest history in cycling create perhaps just a single degree of separation from their soul to your tarmac and that seemed fitting on this ride. To be honest this bike was always going to be Ti as being from a certain generation (read – old) it’s long held a particular cache for me as the exotic material to build a bike from. 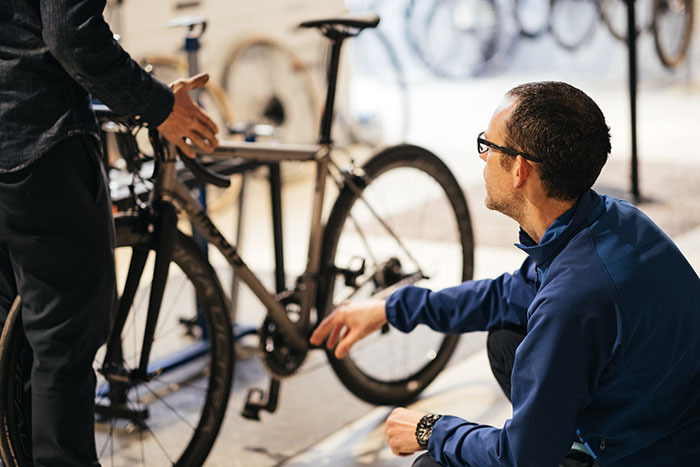 Sure there are stiffer, lighter, faster, more aero materials to use out there now, but none of those attributes have been significantly addressed on me to be honest so why ask it of the bike? 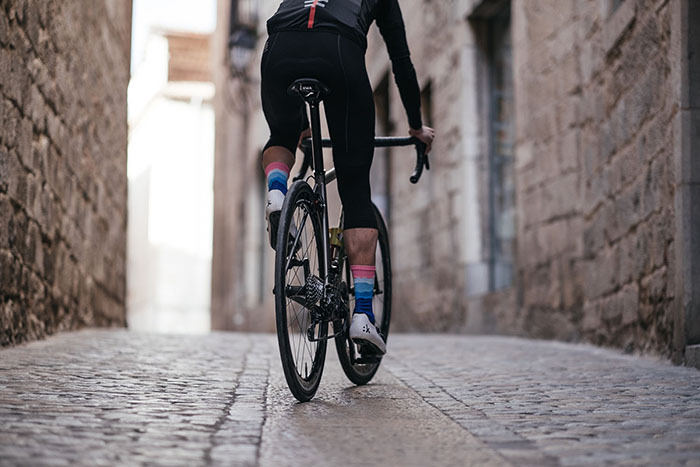 Now it seems often bandied around that Ti has this mythical ride feeling, of an all day comfort and lively springiness that other materials find hard to achieve, perhaps that’s true but just like most things it can vary greatly depending on design. I wonder if that thinking is better left in the halcyon days of the early nineties because this RSL is a thoroughly modern feeling ride. It is pretty light, very comfortable, more agile than I expected and when you step out of the saddle and press go, it snaps into life like no metal bike I have known previously. Special once more, it’s something of a Ti renaissance indeed. I love so much about this bike. The understated timeless look (with hindsight perhaps I should have opted for etched decals but hey…). The ‘son of Paul Brodie‘ geometry that gives it a similar shape to that pinnacle of frame design evolution – the 1994 Kona Explosif. The ride quality. That titanium longeivity and subsequent knowledge that it won’t corrode and will outlive it’s carbon contemporaries. The incredible ceramic Bora Ultras that just roll and roll. The light but secure Campag braking that seems to always feel like you’re riding with fresh cables. The front mech that lightly and effortlessly shifts up perfectly every time. 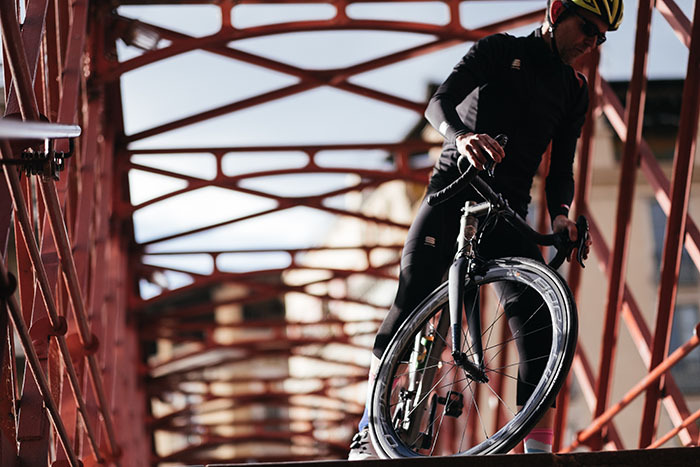 The Super Record drivetrain with just the right balance of weight and strength that always feels light but rarely fragile. The Fi’zi:k Antares R1 saddle that is now an honorary part of my anatomy. The hand made RSL stem and spacers, bead blasted with the frame to ensure the same finish…I specced it exactly as I wanted it and therefore there is much to engage, but what I really love most about this bike is that I know the bloke that cut the tubes, and his dog Baxter. And I know the bloke that welded it into a frame, and his dog too. And the girl that bead blasted it, and her dog Frida. And I know the bloke that put the decals on, and his dog Sawyer Tom Krieger, even the guy that leant me one to ride in the Arizona desert and got all this started a couple of years back is a friend now, and I know his dog Rocky too. All those people that pulled together these raw materials 5,000 miles away and turned them into my daily salvation on the cols of southern France did so watched over by their four legged friends under workbenches and on old armchairs in the corner of a factory, just like I am sitting at this wooden kitchen table in the foothills of the Pyrenees typing and being half watched over by my snoring Ridgeback, and that feels profound to me. And so after all the pan-atlantic flying and riding and road trips and emails and conversations and ponderings and cad drawings and Google image searches and FedEx depots and eventual box opening, it seemed like building it ought to be a bit of an event in itself. 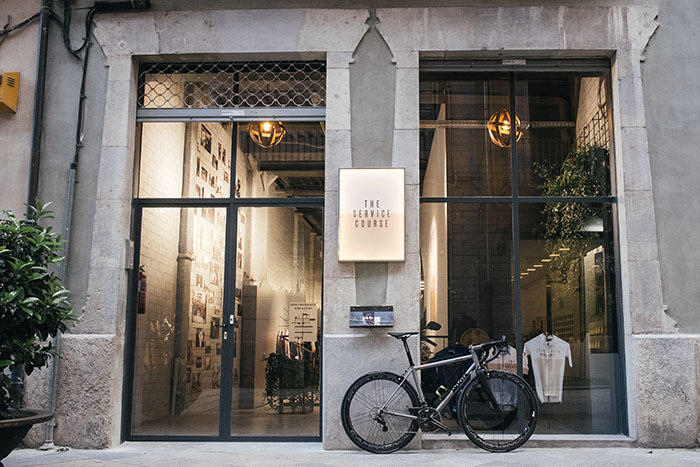 So I popped down to my local bike shop that happens to be in another country (so good it’s worth it) – The Service Course run by dear friends, former pro Christian Meier and his wife Amber and we set about to giving it it’s first outing last week in the Euro cycling heaven Girona. Punctuated hourly by amazing (home roasted) coffee and about the best oatmeal cookies I have ever eaten, by 4pm it was time to head into the hills and find out what all the fuss was about. 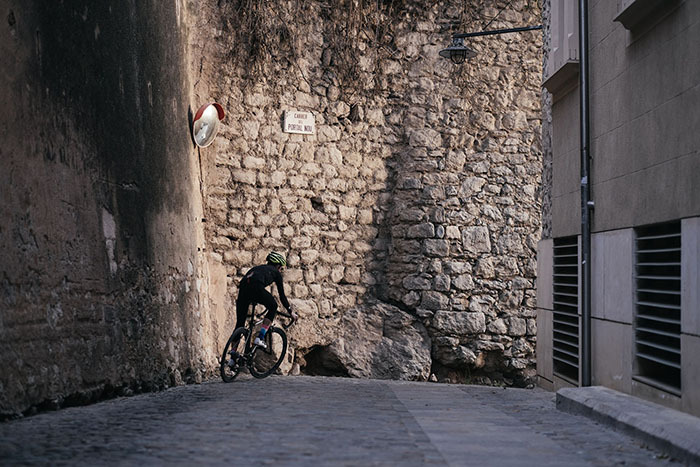 A week of constant riding later and the fuss has fused into a yearning stronger than ever before to ride. It’s that good I don’t want to get off it. Time will tell if my plan to keep things simple has payed off, and to be fair, time moves slowly in these valleys, sometimes it seems to have stopped altogether broken only momentarily by the horn of the patisserie van at 8.30am. But for now, when I wheel my analogue bike out passed my mechanical car and look back to see four legs, a tail and two eyes watching knowingly, I remember why I love this machine of memories so much. Comments Off on Words on a bike.